In addition to serving in the classroom, Mr. Y also served as a committed coach. One of his passions was coaching the Cross Country team at Warren Tech. Coach Yarusinky guided the Knights Cross Country Team for 32 years. In addition to Mr. Y’s time as a cross-country coach, he also lead the Knights Baseball team for 16 seasons. In honor of Mr. Y’s dedication to Warren Tech Athletics, Warren Tech has dedicated the cross country course in his honor. The course will now be known as “The Y”. “Having the Cross Country course dedicated to Coach Y is a well-deserved honor,” said Athletic Director Gary Colucci. “Mr. Yarusinsky dedicated many years to Knights' athletics serving 32 years as our cross country coach and 16 as the baseball coach. Coach Y helped lay the cornerstone of this athletic department as one of its original coaches. Today as we continue to build our sports programs and take on new challenges as members of the NJSIAA, we thank Coach Y for the legacy he left us with. On behalf of the coaches and players of Warren Tech, congrats to Coach Y on a job well done and for his 40 years of dedication to the students of Warren Tech." 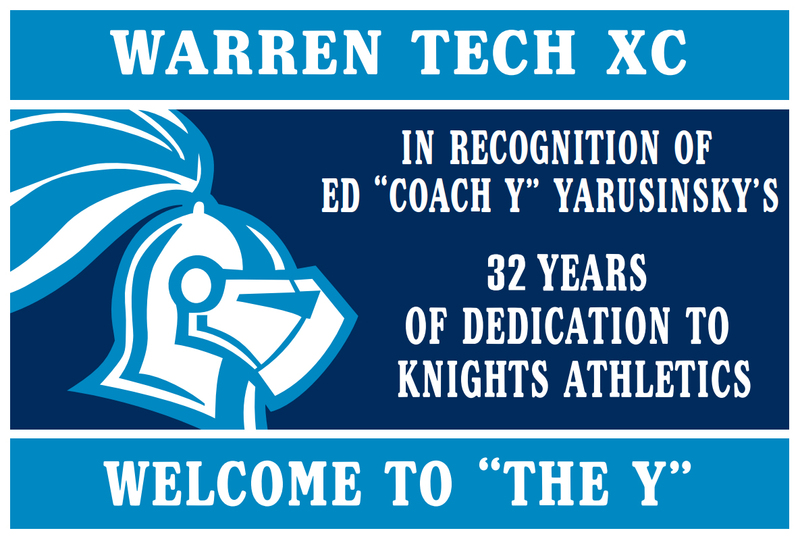 Warren Tech's Cross Country Course will be forever named "The Y" to honor Coach Yarusinsky. 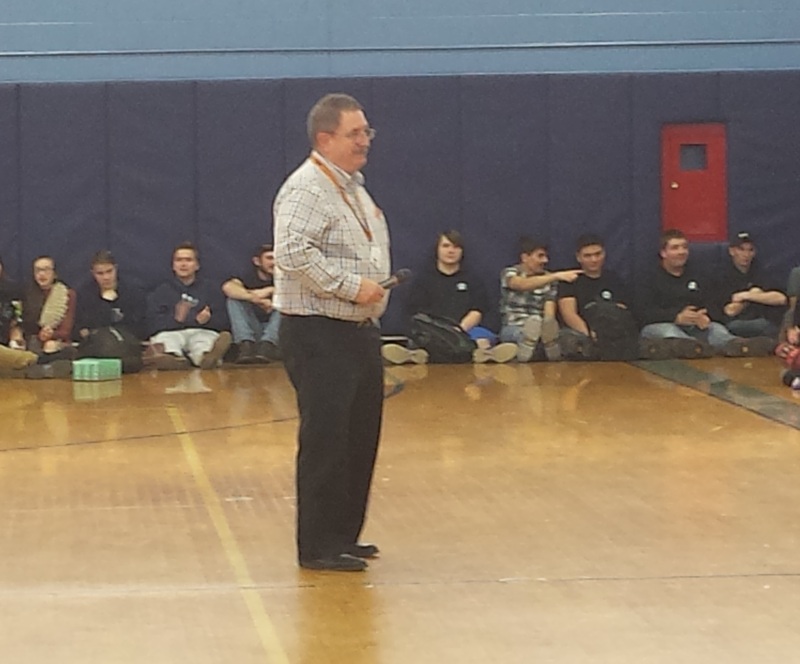 Mr. Yarusinsky addresses the students at Warren Tech on the final day of his 40 year career at the school. Mr. Yarusinsky poses with the Warren Tech Cross Country team in 1988. 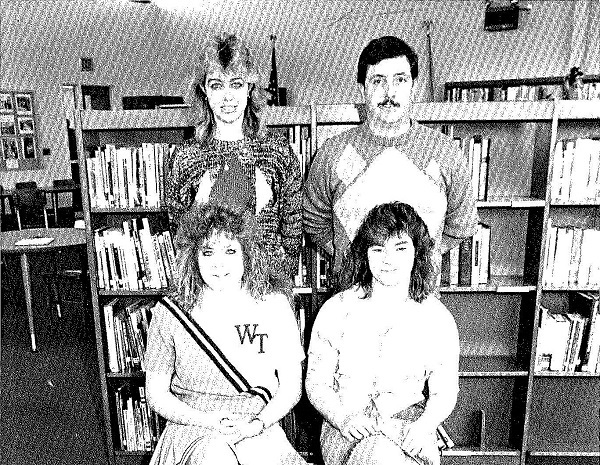 Mr. Y poses with the 1988 Sophomore Class Advisors. 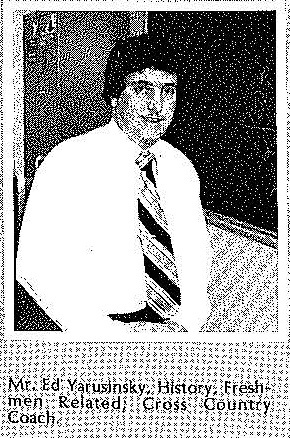 Mr. Y's yearbook picture from 1982.